Gurucul leads the market in demonstrating results where others cannot. Our behavior based security analytics solution focuses on the detection of risks and threats beyond the capabilities of signatures, rules and patterns. We consume the most data sources out-of-the-box and leverage the largest machine learning library. 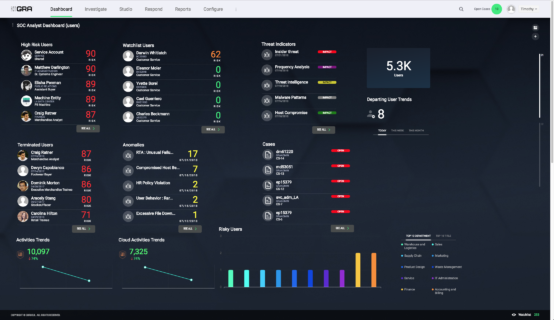 Additionally, we deliver a single unified prioritized risk score per user and entity.